(1) Parker Jr., John L. Once a Runner. 1978. (2) Parker Jr., John L. Racing in the Rain. 2015. (3) Sisson, Mark. Primal Endurance. 2016. (4) Sandrock, Michael. Running with the Legends. 1996. (5) Daniels, Jack. Daniels’ Running Formula, 3e. 2013. "Psychologically as well as physically, he paid the price. He became weak, depressed; he needed 12 to 14 hours of sleep a night. He was literally desperate for rest, spent his waking hours with his legs elevated, in a state of general irritability. He became asexual, rendered, in the words of the immortal limerick, really quite useless on dates. He was a thoroughly unpleasant person." 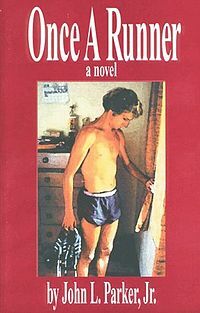 As far as running literature goes, John L. Parker, Jr.’s 1978 novel, Once a Runner, is a book that has had an influence on runners everywhere, with a history and publication that has become legendary. (1). Of course, it must be pointed out that because the book is a novel, the information offered by it should be taken lightly, not as a pamphlet on training. Parker succeeds in raising the stakes for the sake of drama and pushes the experience of training and racing to its limit. Still, fiction often produces a truth that non-fiction can’t quite capture, and this is probably what led runners like Alberto Salazar to hole up in a hotel in Houston like a hermit while training alone in the heat for the 1984 Olympic marathon in Los Angeles. Salazar apparently had read the book and was deeply affected by it. In the end, he was overtrained for that race, and finished a disappointing 15th. Self-published by Parker and sold out of the trunk of his car at track meets, the book eventually went through 10 printings and over 100,000 copies sold. For a piece of literature to catch fire in this way, it must hold something of power and resonate strongly with its readers. Parker’s only marketing was word of mouth. Imagine runners all over the country passing along tattered, dog-eared copies of the novel to their friends, a Catcher in the Rye for runners. 30 years after its initial release, it was picked up by a major publisher and has become required reading for every competitive runner out there, regardless of age. It even spawned a sequel and a prequel, the latter just released last summer and titled, Racing the Rain. (2). These symptoms are accurate and they are the result of an excess of cortisol (a hormone released to regulate stress) paired with a lowering of testosterone. What’s concerning is the attitude presented in the next few paragraphs; the novel’s narrator suggests that overtraining is a kind of rite of passage, and that it is best to “run through” these symptoms rather than take total rest, which he calls “the easy way out.” It paints an unhealthy relationship with running--something that must go on no matter what, something that dominates the main character of the novel, Quentin Cassidy. Cassidy’s running as described here is chronic, and has the same characteristics as an addiction: the only response to running’s detrimental effects is to just run more. Beginner runners should note that overtraining can and should be avoided at all costs, and a runner should back off before symptoms get to a place like the ones described in the excerpt above. 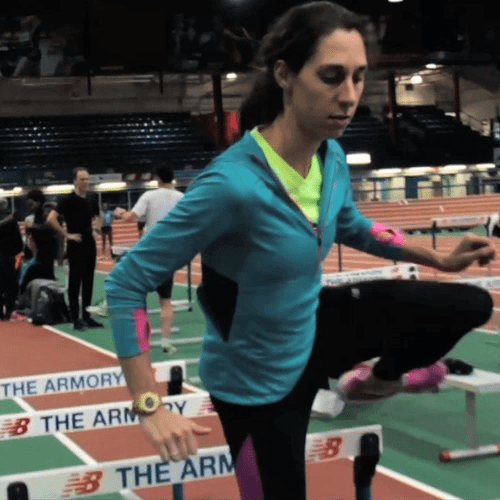 A runner does this by paying attention to his body. In fact, the best line in this chapter comes at the end: “He listened carefully to his body and heeded strange requests. Like a pregnant woman, he sometimes sought artichoke hearts, pickled beets, smoked oysters.” It’s no coincidence that these foods are all high in iron, as well as other essential micronutrients. Low iron levels is a consequence of overtraining, and it usually takes months to restabilize. However, the narrator also says, “He did not live on nuts and berries; if the furnace was hot enough, anything would burn, even Big Macs.” This kind of mentality suggests that a runner can eat anything he wishes, that the amount of calories burned by his efforts compensates for the poor quality of food he’s eating. While it’s true that regular exercise will increase a person’s metabolism and enable his body to “burn” off virtually anything that he puts in it, junk food has zero nutritional value to aid in recovery. Furthermore, this kind of mentality encourages a runner to associate running with punishment and the post-run meal as a reward, an opportunity to indulge with impunity. This isn’t to suggest that the occasional dessert should always be forbidden. But the cycle of “punishing” the body with hard efforts and following it by binging on junk foods is unhealthy and counter-productive. In the chapter “The Workout,” our hero Cassidy completes an absurd interval workout of 60x400 meters. Again, Parker is pushing the training experience to its limits for dramatic effect, but the suggestion is that the more 400-meter repeats a runner does, the faster he will get. When it comes to anaerobic training of this kind, more is not better. In fact, the more you do, the more likely you are to become overtrained, burned out, or injured. Parker is probably drawing on Emil Zatopek’s legendary workouts of 60-100x400-meter repeats. Zatopek is quoted as saying, “400 meters, 50 times in the morning and 50 times in the evening, every day for two weeks.” (4). What’s more, he apparently did these workouts in the woods wearing combat boots. My suspicion is that Zatopek did the majority of these quarters at sub-threshold pace. Cassidy, however, completes a workout of (3x) 20x400-meter repeats with a 100 meter jog in between each repeat and a 400 meter jog after every 5th repeat. He’s running around 2-mile pace, ostensibly, which is approximately his Vo2 max, a phrase used to denote the maximum amount of oxygen a runner can consume (5). A single set of 20x400 meters done in this way would be a superb workout for any elite runner, but forcing a second and third set would almost certainly put any runner into a hole of exhaustion that would take weeks to recover from. Furthermore, every runner has an anaerobic capacity that limits their ability to handle this type of volume at this kind of intensity. Pushing past this ceiling does more harm than good. Anaerobic work is just the icing on the cake. Cassidy, in his defense, does purport his philosophy of “the Trial of Miles, the Miles of Trials” throughout the book, which suggests that patiently and diligently maximizing one’s aerobic engine, and not some secret, is the key to success. In that respect, Parker nailed it. Volume does matter in this respect and if there is an area of training where a runner should focus on increasing volume, it should start with the easy efforts, not the hard ones. Lastly, the chapter “The Race” is wonderfully superb in how accurately it captures the psychological intensity of stressing the body to its limit. It is in a race that a runner discovers small pockets of himself that were hidden, when the tiny doors deep down start to open. As Parker puts it, “Training was a rite of purification; from it came speed, strength. Racing was a rite of death; from it came knowledge.” Of course, the only problem is that Cassidy, after “running through” his spell of overtraining, and completing the dangerously excessive 60x400 meter repeat workout, is rewarded by breaking 4 minutes for the mile. The reality is that he would probably have not even made it to the starting line. But hey, it makes for a great read.